My fifth stadium of 2014 was on Saturday 5th April at Butlin Road in Rugby, Warwickshire. 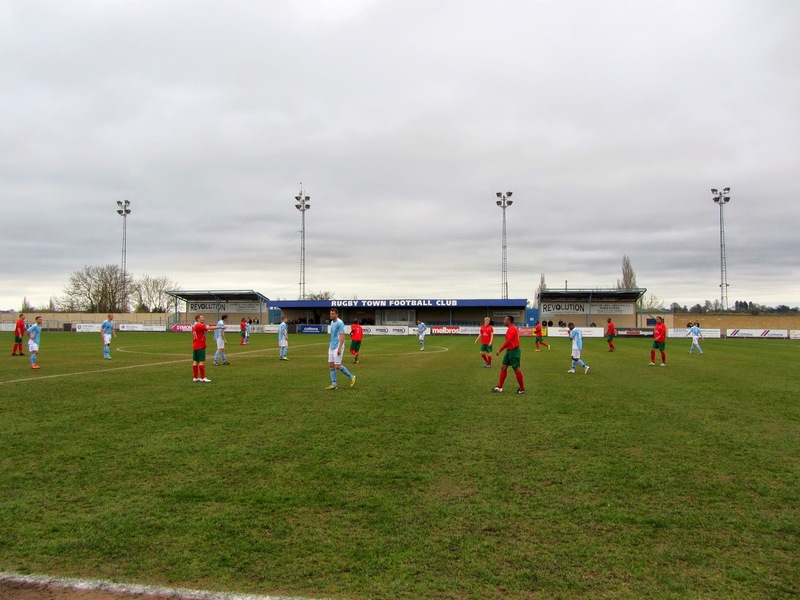 The match was Rugby Town vs. Chalfont St Peter in the Southern League Division One Central. 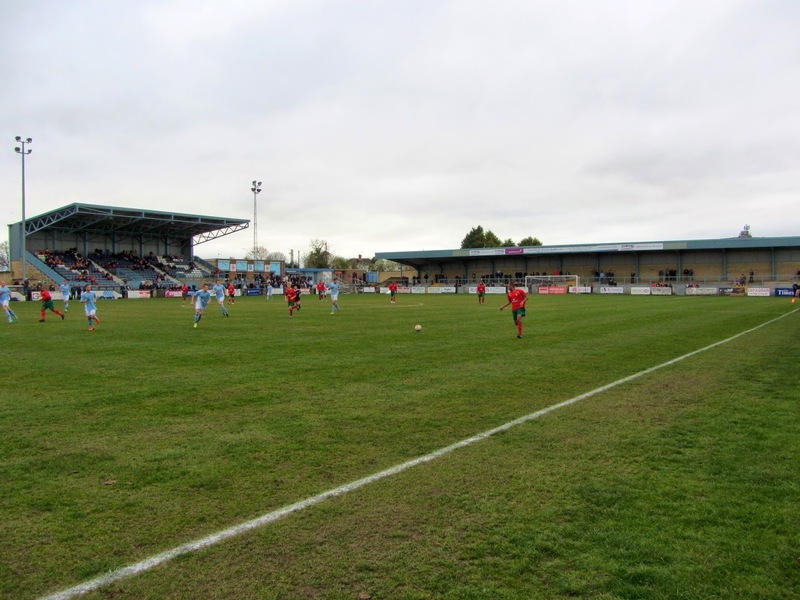 Butlin Road stadium is located in the west of the town - it is surrounded by allotments to the west, the railway line to the north, astroturf pitches to the east and a cricket pitch to the south. The venue is around 1 mile from Rugby railway station and has been home to the club since 1973. The Main Stand sits close to the half-way line on the south-eastern side of the ground. The cantilever stand was built in 2003 and has a capacity of 500. The dressing rooms and physio areas are contained within the structure. The rest of this side of the ground is uncovered concrete terracing. Adjacent to the Main Stand is the VS Bar which is of an excellent standard for a club at this level of the league ladder. On the opposite side of the pitch is a smaller seated area with room for a further 240 fans. This thin stand has a number of supporting pillars to hold up the roof and has two small covered terraced areas either side of it. 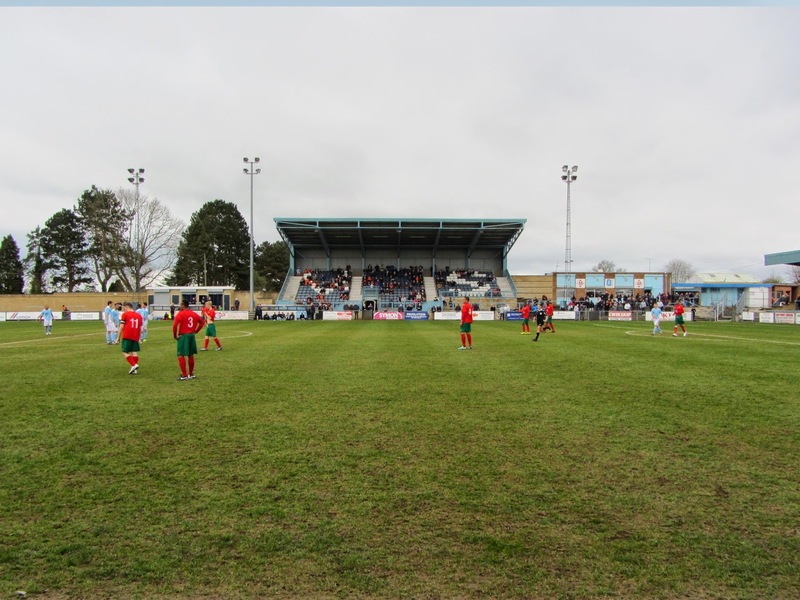 Behind the goal at the north-west side of Butlin Road is a large covered concrete terrace which formerly joined up with the terracing bordering the main stand. Behind the other goal there is a smaller covered concrete terrace. The venue is fairly spacious so has an overall capacity of around 6,000. 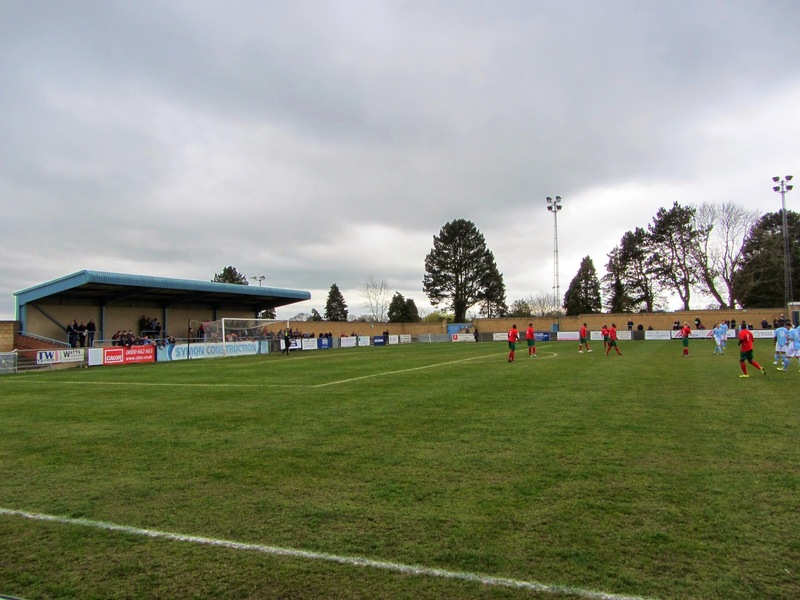 With Rugby involved in a four-way fight for the Southern League Division One Central title the hosts were keen to get back on track with a win having lost the previous week. Rugby started the game well with Justin Marsden missing an early chance to go 1-0 up. In the 19th minute Nathan Fox's 30-yard free-kick cannoned off the crossbar and Rugby continued to attack Chalfont in a dominating first half display. The away defence was difficult to break down and were able to soak up the pressure until the interval. Chalfont were able to launch some counter attacks in the second half but Rugby were the side who looked more likely to win the game. Michael Power-Simpson was in fine form in the Chalfont goal and frustrated the hosts right until the end of the game as he managed to keep a surprise clean sheet. Rugby will have been very disappointed to fail considering the host of chances they spurned along the way.